Never Play Cards With a Man Called Doc: Summer Bankroll Challenge! Edit: Should I be concerned that this is post 666? 666? Not to worry. The only concern is writer's cramp. Take two aspirin and call me when I've quads. I couldn't figure out how to post the screenshot on your blog, so it's posted on mine: starting over on blogger. 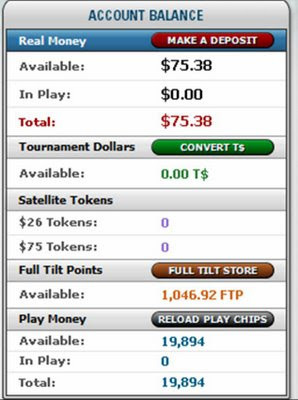 My bankroll on pokerstars is currently $67.75 and my goal is to run that baby up to 70, maybe 71 bucks by August 20. Yeow! I haven't posted mine yet on Tilt, since I was busy moving furniture all weekend, but it's around the whopping level now (after cashouts and general dumbassery) of a whopping $31. I'll put up the shot tonight after work.